Even cancer, Parkinson’s or Alzheimer’s it seems are responding in some preliminary studies. In the last decade scientific research has focused building an impressive amount of clinical research in the use of berberine for lowering blood lipids and blood pressure, and improving blood sugar control in type 2 diabetes. Berberine exhibits a number of beneficial mechanisms to produce these effects including an ability to activate the important enzyme called AMP-activated protein kinase or AMPk for short. AMPk is found inside every cell and serves as a “master regulating switch” in energy metabolism. Overall, the activity of this enzyme plays a major role in determining body fat composition and especially the amount of visceral “belly” fat. Metabolic Syndrome, also known as Syndrome X has taken the world by storm in the worst possible way. In 2012 (the most recent data available) over 35% of all adults and 50% of those over 60 are estimated to suffer from this according to a study in JAMA (May19, 2015). I’ve written about berberine before so I won’t repeat it – find my other posts and blogs on it – I’ll make this short and to the point. A meta-analysis of 27 randomised controlled clinical trials in 2015 concluded “berberine has comparable therapeutic effects on type 2 diabetes mellitus, hyperlipidemia and hypertension with no serious side effects”. Another valuable effect was noted, that of it being antimicrobial, helping to promote the growth of a beneficial bacterial strain – Akkermansia muciniphila – which has been shown to positively impact weight gain, fat mass and glucose metabolism, while reducing the chances of leaky gut or intestinal permeability. This important finding means a decrease in levels of endotoxins which contribute to inflammation, and the development of atherosclerosis. 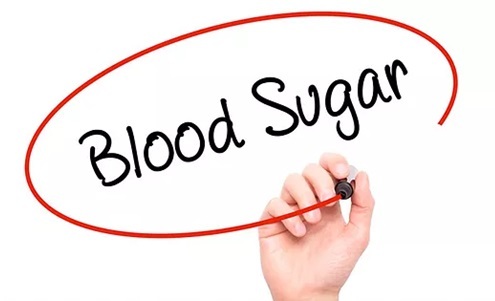 At a dosage of 500mg twice a day, berberine has been shown to significantly decrease fasting and postprandial blood glucose, HbA1c, triglycerides and both total and LDL cholesterol, as well as the other aforementioned benefits. This potent supplement, taken with a good probiotic like ProB)Plus (both available from my online store at here could make a dramatic difference to your health.